Step-by-step approach to finding that first job out of high school, college or grad school in today's New Economy. 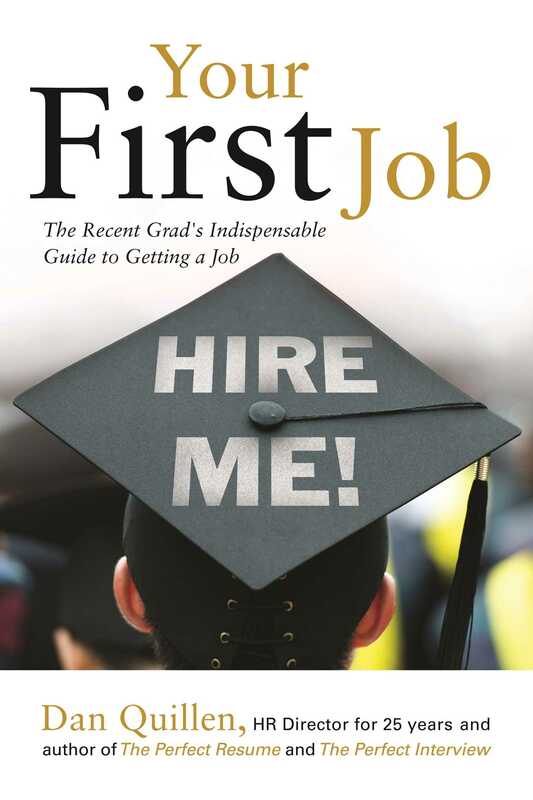 Your First Job is written by Dan Quillen, who has 25 years of experience as a Hiring Manager and is the author of three job search books by Cold Spring Press (Get a Job; The Perfect Resume; and The Perfect Interview). Chapters include: how to plan for the end of high school, college or grad school with that first job in mind; how to not get discouraged along the way; figuring out goals and objectives; how to plan the job search, including where to apply; how to best use social media; how to prepare a resume; how to write cover letters; how to conduct interviews; how to follow-up after the interview; what to do when you land the job; what's expected at a new job and how to act at work on the first day/first month/etc. Features checklists, resume samples, cover letter samples (including how not to write a resume or cover letter) and more!